Picture Object Lessons that show at a glance why some teachers and why some pupils fail to succeed. How often have you seen the above scene enacted? 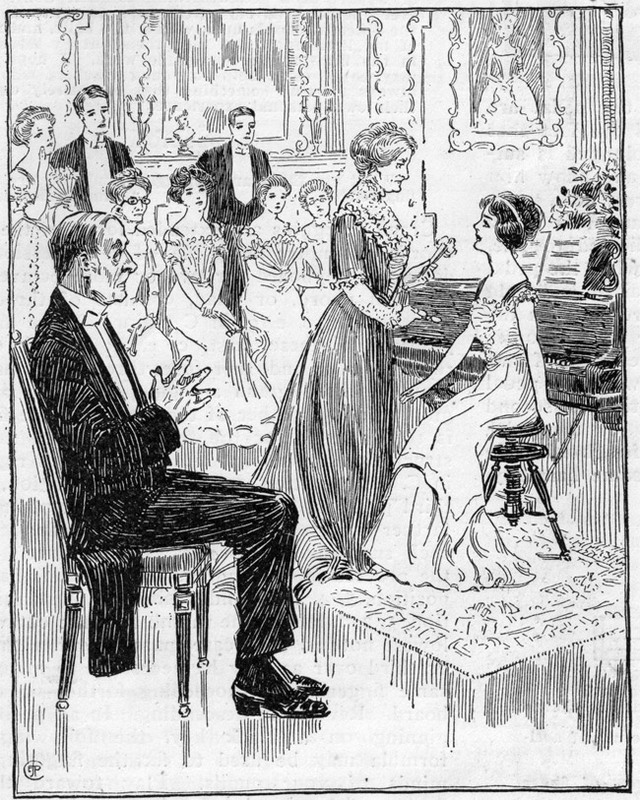 The guests assemble, and proud mamma, after much coaxing, gets her charming daughter as far as the piano stool. "But, mamma, really, this is too absurd for anything. I don't know a single piece from memory," says the daughter. In the meantime, father indulges in the pleasant pastime of counting up upon his fingers how much he has spent on daughter's education. One of the first things that the teacher should realize is that one good piece properly prepared and "ready to play" at any moment is better than dozens of sermons upon the teacher's ability. This picture needs little comment. Many teachers, through lack of experience, make the great mistake of thinking that in order to impress the public they must make extravagant claims and pretensions. The teacher who does the most and claims the least is the teacher who is most respected, and often the one who builds up the largest clientele. We know of a case in New York City. On one side of a street is a conservatory making claims like those above. The pupils are rarely more than forty in number, and they seldom stay more than a few months. Exactly opposite is a teacher who has simply his name on the door plate. Together with his assistants he teaches nearly one hundred and fifty pupils. 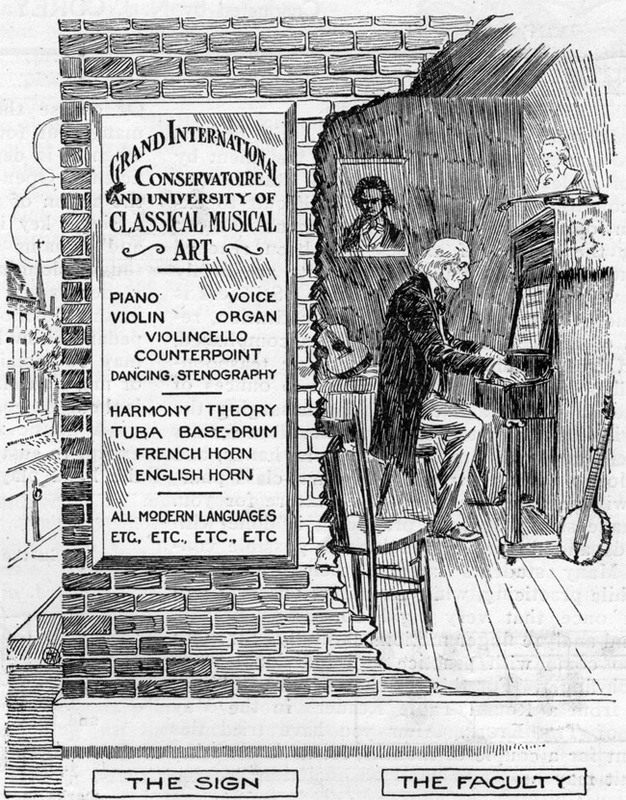 You are reading The Etude Educational Cartoons from the August, 1910 issue of The Etude Magazine. Suggestions for the Victim of Stage Fright. is the next entry in The Etude.